A light approach to the traditional teachings of The Buddha. Leave your stress and anxiety along with your shoes at the door. Have you wondered what Meditation is all about? Could use the gift of peaceful and gentle practice in your week? 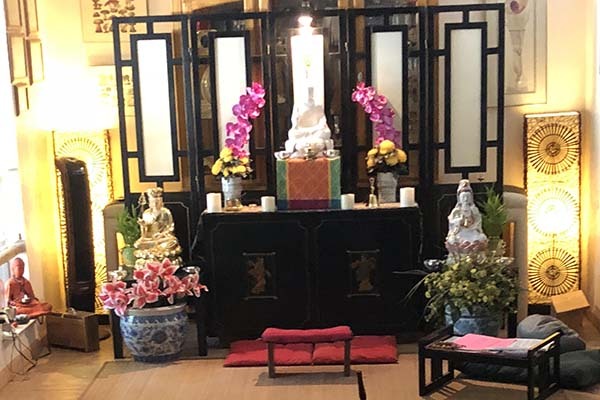 Then you are invited to budding Dharma Zen Buddhist Temple in Arlington for meditation and mindfulness practice. Zen to Go – Wednesdays 1 p.m. to 2 p.m.
Full Service – Wednesdays 7 p.m. to 9 p.m. If you’re new to meditation, you’re welcome to arrive 15 minutes early for personal instruction on meditation technique. No need to register, just show up. This is an open invitation. You don’t have to be a Buddhist or experienced in meditation. 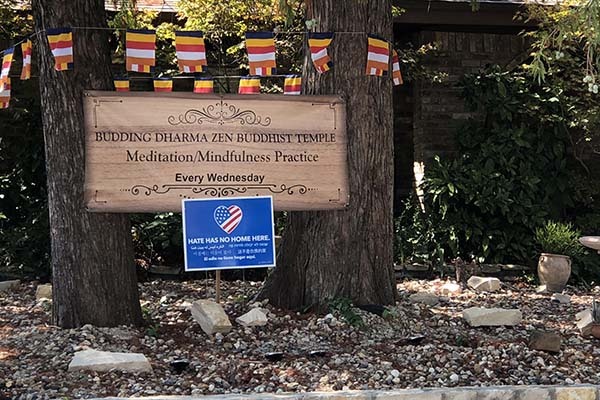 Budding Dharma is an affiliate temple to Mt. Adams Zen Buddhist Temple.